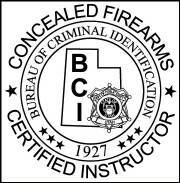 The Utah Concealed Carry Permit Course is a 4 hour course that consists of classroom training only. NO LIVE FIRE AND NO QUALIFICATION! This course is conducted in our training facility once a month. 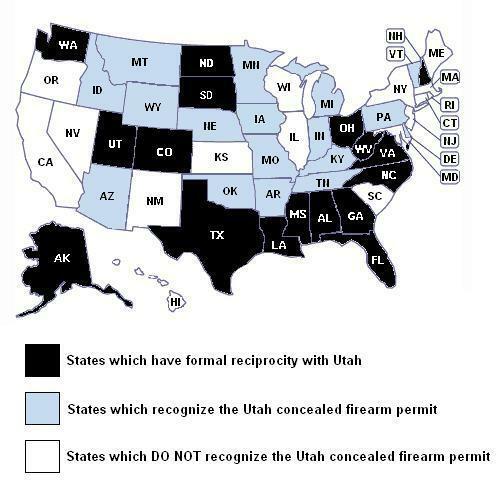 This permit currently DOES NOT allow the permit holder to carry their firearm in Maryland, but it would allow them to carry in most of Maryland’s surrounding states and many more. Why would I get this permit if I can’t use it in MD? 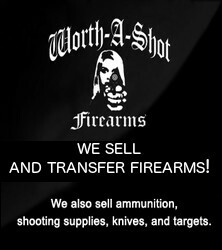 – You will be able to carry a firearm concealed in approximately 60% of the states in the U.S.
– People are usually the most vulnerable when they travel. They tend to carry more money, and could potentially end up in high crime areas when they are unfamiliar with the surroundings. In addition to this fee, the applicant must include with their application a $49.00 fee that is paid directly to The Utah Bureau of Criminal Identification. This fee is not needed at the time of the class. The permit usually takes approximately 60 days to receive once sent to Utah. This Permit is good for 5 YEARS, and is currently renewable online for a low $15.00 fee!! Maryland is not one of these states, so this would not apply to Maryland residents.